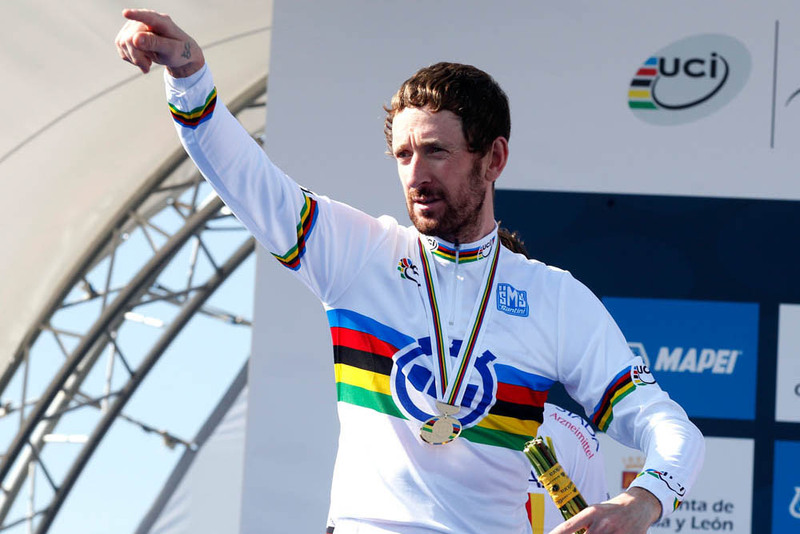 Your love affair with Sir Bradley Wiggins continues, as he becomes your hero of 2014. No Olympic or Tour de France titles for Wiggo this year, but the time trial world title and a win in the Tour of California were enough to clinch this category. Of course, being a hero is much more than just results, and Wiggins can always be relied upon to offer something different to the typical, by-numbers pro sportsperson — a juicy quote here, an unexpected haircut there. At 22, Adam Yates proves that you don’t have to be old to be a hero. In his first year as a fully fledged pro for Orica-GreenEdge, Yates won the Tour of Turkey and put in top 10 placings in the Tour of California and Critérium du Dauphiné. There’s so much more to come. Alberto Contador rounds out the top three, having redeemed himself for that dodgy steak in 2010. Honourable mentions: Marianne Vos and Lizzie Armitstead were tied on the number of votes they received, and were only just behind Contador. Notably down this year was Mark Cavendish, who was beaten by the likes of Taylor Phinney and Nairo Quintana. Lance Armstrong’s reign as your Villain of the Year ends, as the cheating Texan slips down to second place behind a new duo of blood-boosting dopers, Maxim and Valentin Iglinskiy. The Kazakh brothers both failed a test for EPO during 2014, and have brought their Astana team’s WorldTour licence under scrutiny from the UCI. The stupidity of doping gets short shrift from Cycling Weekly readers, and quite right too. There’s simply no place for anyone who wins a race by sticking a needle in their arm. Which brings us to… Armstrong. The not-seven-times-Tour-winner continues to sulk that he has been unfairly treated, and that everyone doped and… yawn, goodness, is that the time? We really must be moving on. Despite a change in president from Pat McQuaid to Brian Cookson, the UCI still features in your voting as a villain. Honourable mentions: Always some good answers to this one. Here are a selection: “The two wallies having fisticuffs at the Vuelta”, “Specialized bikes with their bullying of Cafe Roubaix”, “Ricardo Ricco dealing EPO for sportives in a McDonald’s car park” and finally, “I don’t do villains” — a noble answer, but not much fun. German veteran Jens Voigt made sure his final season as a professional bike racer was one to remember. Sure, there were the trademark fruitless attacks, excitable interviews and shouts of “shut up legs” but there was also Voigt’s Hour record. Whatever he does, Voigt tweets along with good humour. Snapshots of pro cycling are interspersed with that of his family life, slightly suspect DIY projects and menagerie of pets. Fellow 2014 retiree David Millar is your second-favourite tweeter, offering a slightly more high-brow analysis of life in and out of the saddle. Mark Cavendish makes his sole appearance in a top three in this year’s CW poll, although we have to say that his twitterings have toned down a touch since the early days. Honourable mentions: CW’s own Dr Hutch was up there in the voting, proving that social media has an appetite for 140-character-based discussions of gear ratios and aerodynamics. Geraint Thomas, Marcel Kittel, UK Cycling Expert, Ned Boulting and Oleg Tinkov all got a few votes each. This year’s best new cycling product is the same as last year’s, which makes you wonder how ‘new’ it really is. 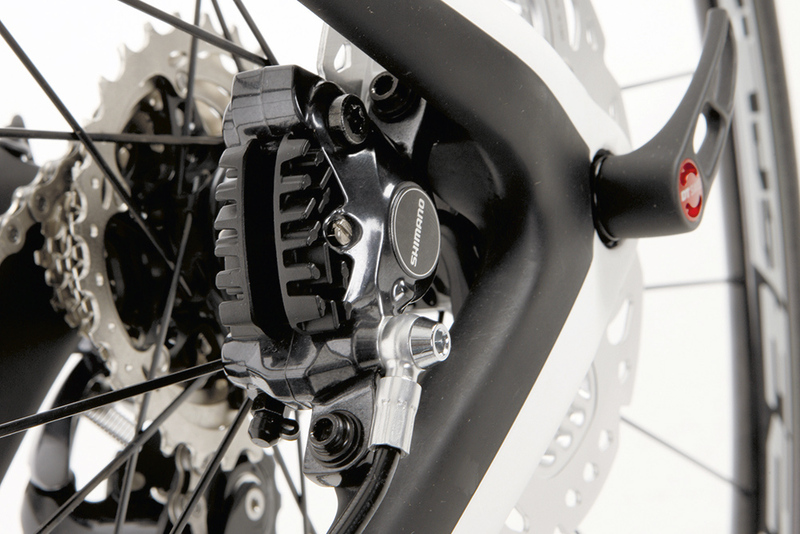 In defence of the votes, there was a bit of a false start for hydraulic disc brakes on road bikes after SRAM suffered problems and an expensive recall of its system. Now, though, we’re seeing far more complete bikes being produced with discs and the tide could be turning in favour of the hydro stoppers on the road. creeping into bikes priced around £1,200, meaning top-class shifting is within reach of most of us. Pinarello’s Dogma F8 model caused a stir when its swooping lines were revealed prior to the Tour de France, and it was your third choice. Honourable mentions: Garmin’s 810 and 1000 GPS computers were popular new additions to its line-up, and the Specialized S-Works McLaren Tarmac was one of the year’s most stunning bikes and gained admirers. An unidentified product also attracted attention: “Not sure what it is called, but Astana use it,” said one of our more cynical readers. 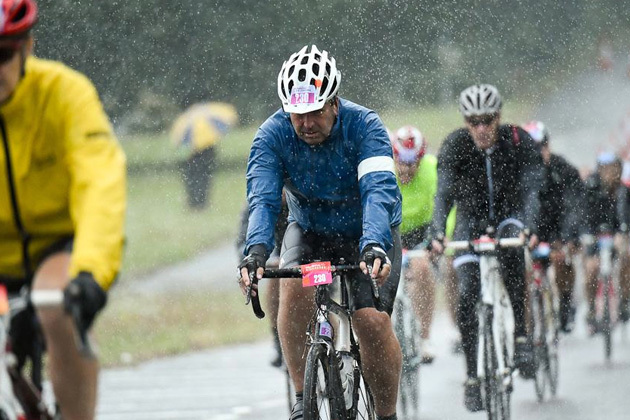 Despite being shortened to 86 miles due to adverse weather conditions, the RideLondon 100 was once again voted best British sportive. It’s certainly one of the biggest — 25,000 signed up for the 2014 event. RideLondon’s appeal is obvious as it gives riders a rare chance to ride on closed roads in the capital, following much of the route of the London 2012 Olympic Games road race that also takes in some of the best bits of the Surrey countryside. The tough Fred Whitton Challenge around the Lake District in May is in second place. ‘The Fred’ is a gruelling ride that is more akin to European Gran Fondos than the vast majority of UK events. Our own Box Hill Original sportive comes in third place. We’re blushing. Honourable mentions: There are hundreds of events on the sportive calendar, and many of you have your own personal favourites to vote for, including the Dragon Ride, Tour Ride, Dartmoor Classic and New Forest 100. However, a sizeable 48 per cent of voters said they simply did not have a favourite sportive. The mighty Etape du Tour has been toppled as your fave international event, replaced by the Paris-Roubaix sportive that offers riders the chance to take on the feared cobbled sectors of the professional race. It’s as much of a challenge for you and your bike to finish the event in one piece as it is to post a decent time. The Etape du Tour sits in second spot, though its over-subscription can mean you have to wait years to actually take part in riding the route of one of the Tour de France’s mountain stages, which this year was from Pau to Hautacam. The Tour of Flanders sportive is third most popular. Like the other two events, it offers regular riders the chance to follow in the pros’ tyre treads. Honourable mentions: Stand-out also-rans include the Marmotte, Maratona dles Dolomites and Haute Route Pyrenees events — all worthy mass-participation rides set in beautiful scenery that prove you are an adventurous lot.